Investors, designers, architects, larger complex owners; for you we have prepared special large quantity orders. There is a discount written below each item in case of large quantity orders. 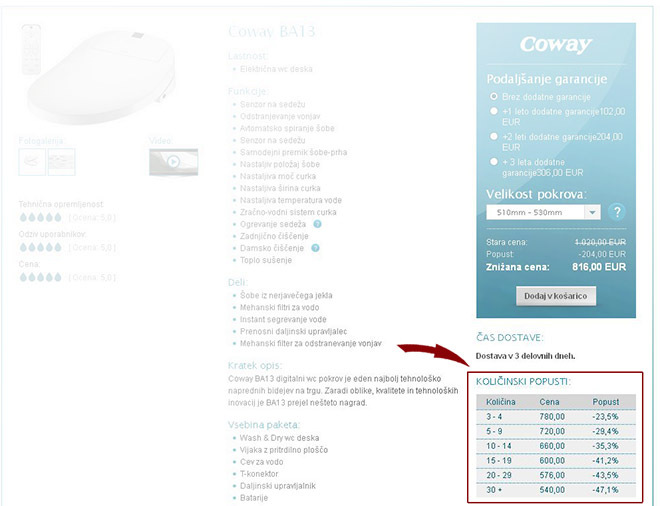 You can select the desired amount of items in the shopping cart the discount will be calculated automatically. In the details section of each item there is also a summary table with discounts.